With so many talented players in the the much-improved East, these stars might find themselves left out of the mid-season extravaganza. Fan voting for the 2016 NBA All-Star starters officially ended yesterday, January 19 (Philippine time). Based on NBA.com's latest voting updates, Los Angeles Lakers' Kobe Bryant still dominates the ballots with 1,533,432 votes. Next is reigning MVP Steph Curry with 1,206,467 while LeBron James leads the East with his 830,345 votes. King James' buddy and former Miami Heat running mate Dwayne Wade follows with 736,732 votes. The 2016 NBA All-Star Weekend is scheduled on February 12 (Philippine time) at the Air Canada Center in Toronto. This will be the first time that the All-Star festivities will be held outside the United States in the 65-year history of the event. By now, we can pretty much speculate who'll be the All-Star starters before it gets officially announced on Friday, January 22. We also have a good grasp on who'll round up the All-Star reserves for both conferences based on the tally. The little man from Bean Town has been playing big this season. From being a sparkplug off the bench, the electric point guard has now established his 5'9" frame as the most important piece of Coach Brad Stevens' starting lineup. Thomas is currently averaging 21.8 points, 6.6 assists, and 1.2 steals per game this season—and a torrid 29.6 point per game in his last five games. His efficiency has helped his team keep up with the Indiana Pacers for the seventh and eighth spots in the much-improved Eastern Conference. However, the East is loaded with talented guards. 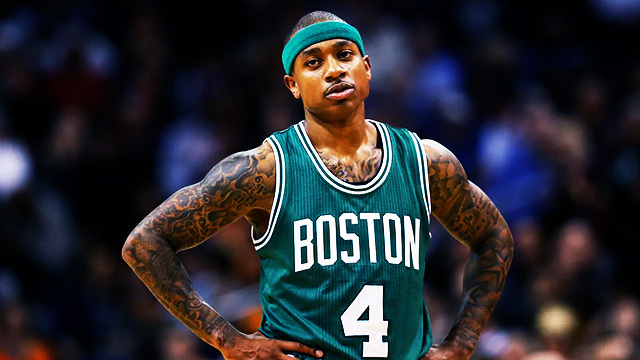 So, let's say both Kyrie Irving and Wade will be voted in as starters, will Thomas make it to the bench? One slot is almost guaranteed to the Washington Wizards' John Wall. The other spot will most likely be given to Chicago Bulls' Jimmy Butler, who's steadily growing himself a pair of superstar legs after taking the lead role from the oft-injured Derrick Rose. The next guards in line? Toronto Raptors' backcourt monster of Kyle Lowry and Demar DeRozan, Atlanta Hawks' Jeff Teague, and the red-hot Kemba Walker of the Charlotte Hornets, who just scored a career-high 52 points. Thomas is currently sitting ninth overall in fan votes behind the Hornets' Jeremy Lin, and if the Celtics can put up a good run heading into the All-Star break, the coaches might consider giving the last spot to him. The Detroit Pistons' scored big when they hauled in the former Oklahoma Thunder super-sub. Jackson had shown that he can be a team's go-to guy when both Russell Westbrook and Kevin Durant got sidelined in the 2013-2014 season. So Motor City pushed for a trade, and eventually inked him to a whopping $80M-for-five-years contract. Thankfully, this season, he's proving that he's worthy of so much moolah. Jackson, together with surefire All-Star big man Andre Drummond, has transformed the Pistons into a playoff team. They are currently clustered with the Miami Heat and Indiana Pacers in a battle for the fifth to seventh places in the East. He's been efficient in leading the charge for Detroit, producing 19.5 and 6.6 assists per game so far this season. He's also enjoying a career-best .354 percent three-point shooting clip. Despite the positive numbers and his team's turnaround, we won't be surprised if Reggie gets left out as an All-Star backcourt reserve for the East. 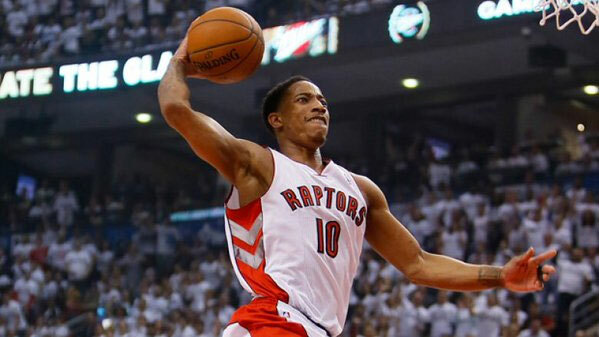 Here's why: Demar DeRozan. The Toronto Raptors are presently ranked as the second-best team in the East behind the Cavs. A huge part of it is because of their Slash Brothers, Lowry and DeRozan. The former is definitely a shoo-in as a reserve should he not get the fan votes. The latter? After missing last year's list because of injuries, the high-flying scoring guard is back to wreaking havoc in the NBA with his 22.6 points, 4.1 assists, and 4.6 rebounds per game average—better than Jackson, stats-wise. Another factor: Toronto will be hosting this year's All-Star Game. Man, there sure is no love for Kevin these days, huh? Despite his numbers being down, Love is still producing a double-double this season. He may no longer be the stat-filling monster he was back when he was still in Minnesota, but he's still producing 16 points and grabbing 11 boards per game. 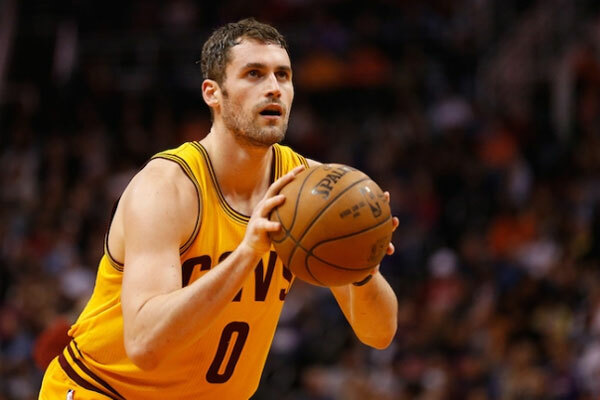 Thanks to Coach David Blatt favoring a drive-and-kick offensive scheme, Love has been forced to camp out on the perimeter and wait for James or Irving to kick him the ball. Sadly, it negates his superb low-post game. But still, Love has done a marvelous job doing what he's asked to. He's been crashing the glass and becoming the invisible glue-guy in the Cavs' isolation-heavy offense. Coaches will mention his name when they starts choosing the reserves, but don't expect them to give Kevin the nod, especially with more prominent frontcourt options like the Heat's Chris Bosh, and the Atlanta Hawks' Paul Millsap and Al Horford. Last year, the Hawks dominated the East and got four of their starters in the All-Star lineup. This won’t be the case this year. 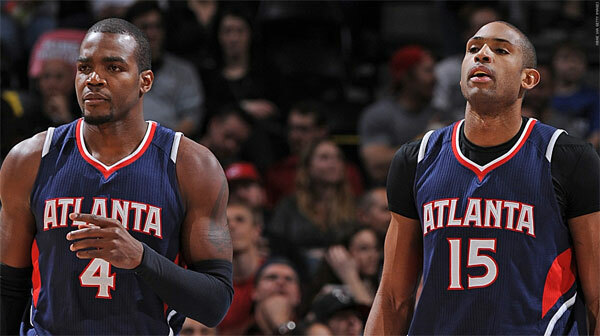 While they still hold the fourth spot (25-17), the Hawks are a far cry from their domineering form last season. Even then, Millsap is still his old versatile self, producing steady numbers every night. He’s still effectively bullying the defense in the paint when he’s on the low block, and sometimes hitting the perimeter with his feathery touch. The 10-year veteran is producing a career-high in points with 18.4 points per game. He’s also hauling 8.7 boards and swatting 1.3 blocks per game. His frontcourt buddy, Horford, on the other hand, has adjusted his game into being a stretch five to suit Atlanta’s new space-and-pace themed offense. His numbers of 15.4 points and seven rebounds per game might look average on paper, but Horford is doing more than that to help his team win games. He used to be a steady anchor who plants his feet on the paint, with the offense occasionally going through him. Now, he has transformed into a ship propeller that helps guide the Hawks' offense with his shooting range. Both of them deserve to go to Toronto, but only one might be selected to play on February 12. If only Whiteside’s maturity can be as consistent as how he blocks shots, then we’re pretty sure that he’ll get the same All-Star consideration as Bosh and the Chicago Bulls’ Pau Gasol. After surprising the league last season, Whiteside has continued his dominance. He currently leads the Association with four blocks a game and is listed as the fourth-best rebounder with 11.4 per contest. He also has 12.3 points per game and owns the third highest field goal percentage (60.5 percent) to go with those stats. So, why not Hassan? Well, on some nights, Hassan is a basketball beast who can give you triple doubles: points, rebounds, and BLOCKS. He has done it twice this season, doing it most recently against the Denver Nuggets where he tallied 19 points, 17 rebounds, and 11 swats. On other nights, he's a superbly athletic man-child who’s too overzealous at times, earning fouls early in the game. Miami’s veteran core of Wade and Bosh has done a good job keeping Hassan’s attitude under control. 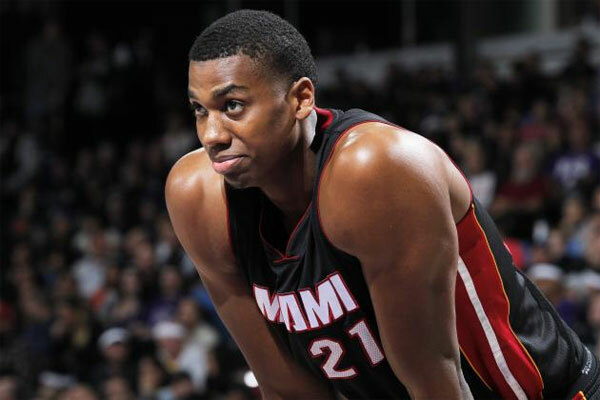 But sometimes, Whiteside’s immaturity still resurfaces, prompting Coach Erik Spoelstra to bench him. He'll get All-Star considerations, but when he can finally control his antics, then maybe that’s when he’ll get a nod. Sorry, Hassan. Click here for the West's All-Snubs Team! 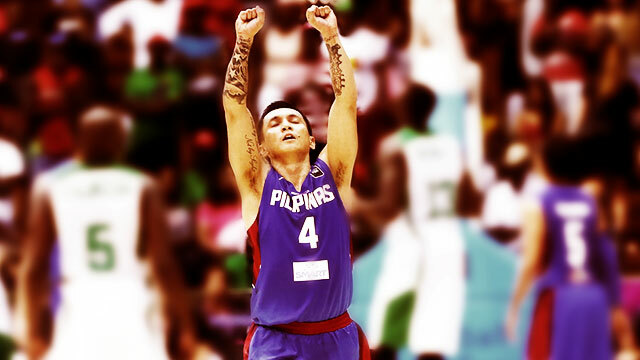 All The Happiness We Felt Upon Learning Of Our Successful FIBA Olympic Qualifiers Bid!